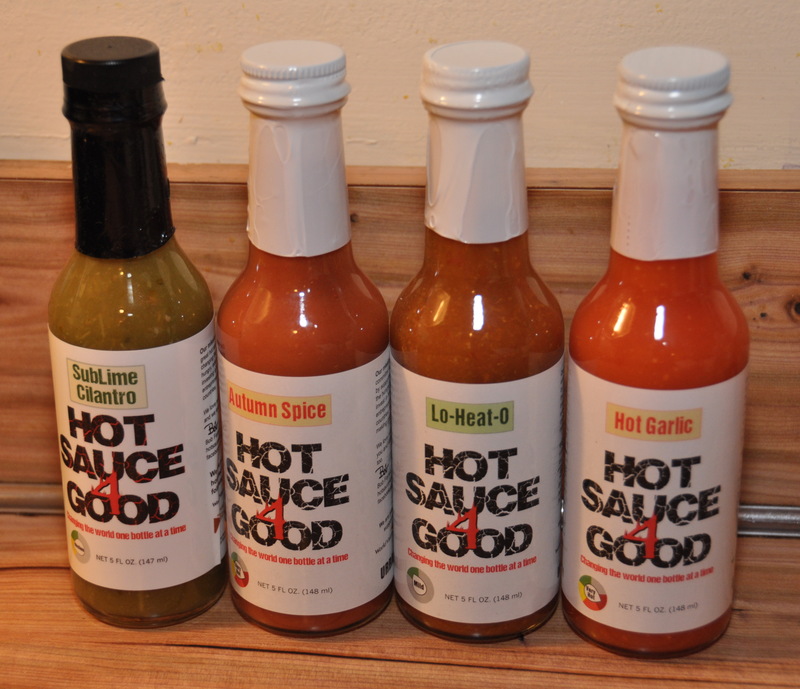 The third part of our series about Made in New Jersey hot sauces focuses on Hot Sauce 4 Good. It’s small company based in Hillsborough, NJ, which uses peppers hand-picked by their team members from two local farms: Hillsboro Farm & Norz Hill Farm. They only cook and bottle small batches, making sure each product achieves perfect flavor. Sublime Cilantro: It was my favorite in this batch. Medium sauce with a great flavor (yeah, I love cilantro). It’s made with jalapeno and lime, and according to their recommendation it’s good for chicken marinade. Hot Garlic: It’s hot, but quite plain, I wasn’t impressed with this sauce made of cayenne, habanero and garlic. Autumn Spice: This cayenne & habanero sauce is hot AND has a very nice flavor of fall harvest spices. I loved it, a close 2nd favorite and I can’t wait to use it on pulled pork. The company’s tag line is “Changing the world one bottle at a time” so we asked Bob Ferretti for more details about the charity work. You can order their sauces from the website, or find them in Hillsborough restaurants (Big Heads Grill, Sal’s Gourmet Pizza), at Better World Market in Somerset, at the Branchburg and Manville farmer’s markets (in the summer), and at many local events.